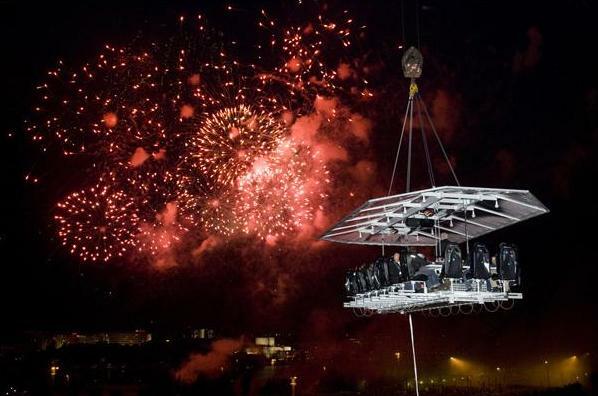 Being a twitter junkie myself, i got introduced to the " Dinner in the Sky" idea a few months back and didn’t really get the idea of how the whole concept functions, until I visited Beirut 2 months ago and saw something that looks like a UFO hovering over Beirut Central District. After asking around I realized what they were talking about. 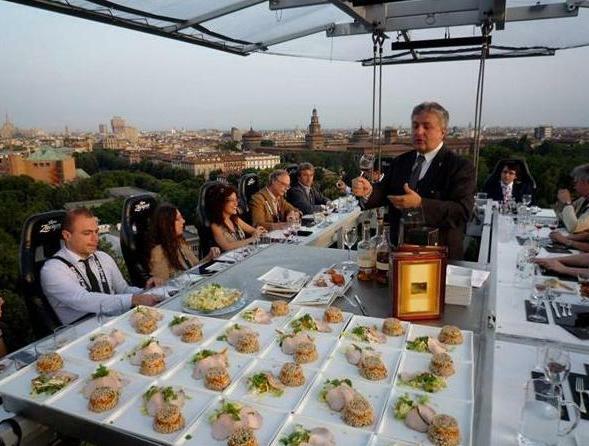 As Lebanese always are, seeking originality wherever the source and not fearing any massive reactions, the concept was brought to Lebanon by Alfred Asseily of La Table D’Alfred and Alf events which is in charge of Dinner in the Sky, Beirut edition. The Lebanese TV channel MTV has taken this concept and created an entire progam out of it for the holy month of Ramadan. The program is hosted by Wissam Breidy who has a variety of guests daily for 30 days with a different country theme everyday reflected through sharing with the viewers the rituals and habits of the assigned country of the night. 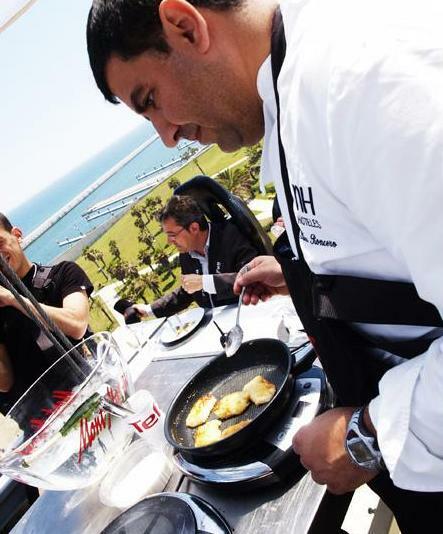 Their Chef goes as far as to prepare meals significant to that country. 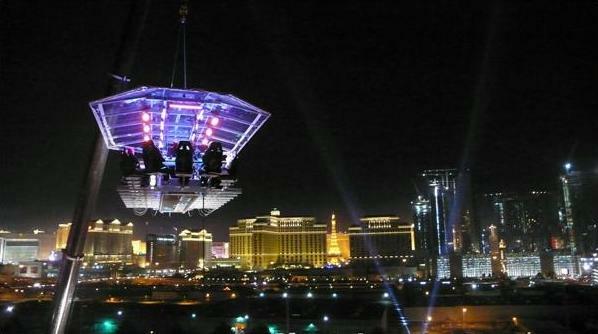 Dinner in the sky takes up to 22 guests to a viewing height of up to 50 meters for corporate or personal events. That should be able to leave an impression! So far in the Arab world it has been realized in Lebanon and Dubai.